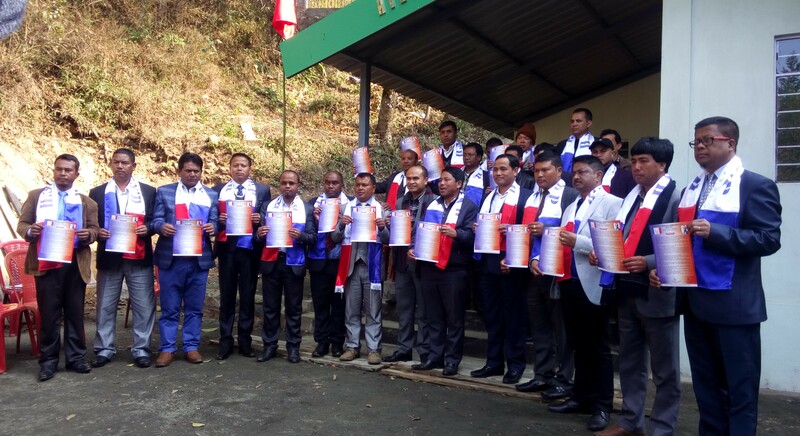 SHILLONG: The Hill State People’s Democratic Party (HSPDP) has called upon its candidates to oppose any policy of the Center that is against the interest of the indigenous people. He said when he pointing out about the Citizenship (Amendment) Bill, 2016 which the people of the state along with the rest of the North Eastern states have opposed tooth and nail. “We oppose the Citizenship Amendment Bill and demand the implementation of Inner Line Permit (ILP) to protect the minority people,” he said. Speaking on the prospect of the party, President of the party who is also the party candidate from Rambrai-Jyrngam, KP Pangniang, sounded hopeful of the party’s victory from his constituency. He said the party had decided to field very less candidate in 2019 Council election as the party was looking for quality and not quantity. HSPDP is fielding 14 candidates in the Council election. On the same day, the party also released its Council election manifesto.